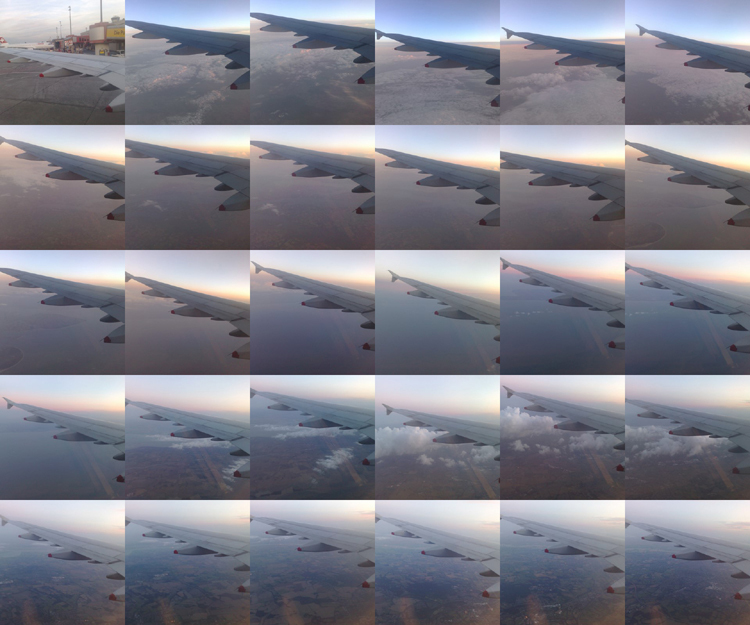 I took this series of photographs while flying between Berlin and London in the summer. Flying is faster, but I still prefer to go by train. I see that since the movie Amelie was released the company that supplies photo booths for the metro in Paris has sorted out that gap-where-the-photos-slip-under-the-machine problem. At this time of year there are the inevitable requests for us to buy goats as presents for poor peasants in the third world (possibly on behalf of our friends and family). I have been a bit suspicious of this idea as I am aware of how environmentally destructive goats can be. (They will eat the roots as well as the leaves of plants). Of course you are never guaranteed that you are actually buying a goat. If you read the small print you find that they may buy another appropriate animal with your donation. 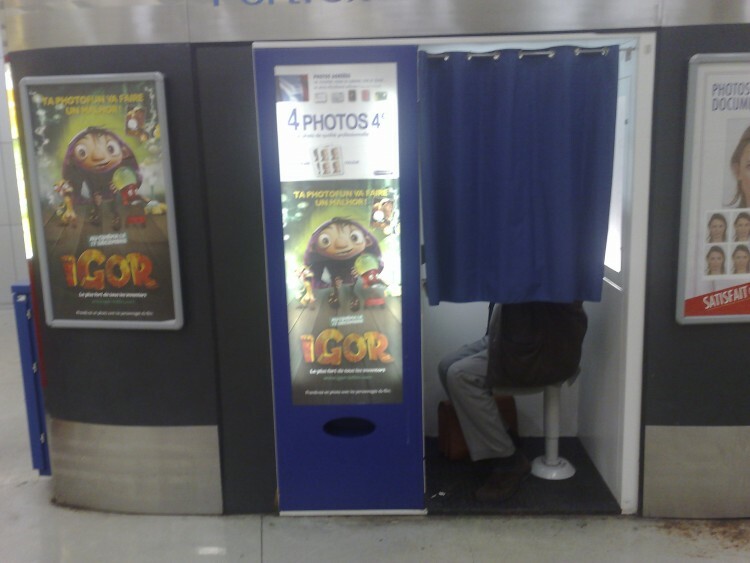 How refreshing then, while I was in Paris this morning, to find a different type of charity. I paid them thirty euros to do quite the opposite: to liberate a goat from mistreatment at the hands of some poor peasants in the developing world. Of course seeing that the peasants were not feeding the goat properly, and yet did not have the need to eat the goat themselves, one cannot feel sympathy for the peasants who were thus liberated of said goat. 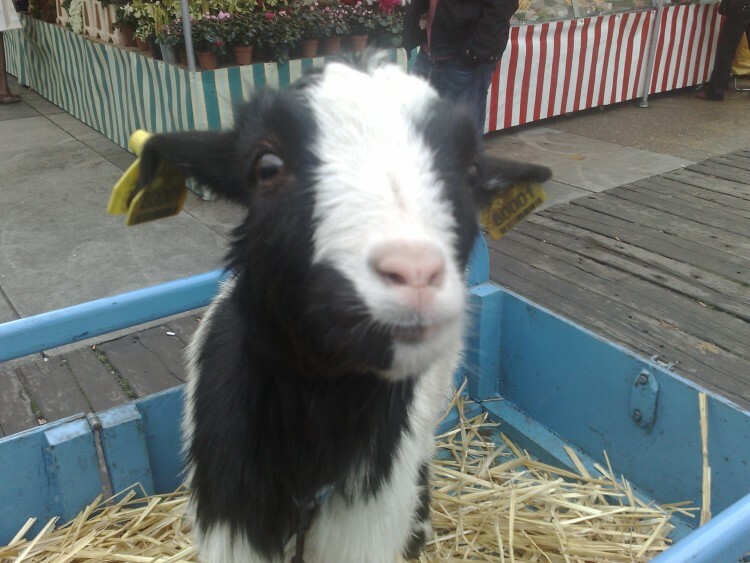 I took a photo of my goat (above), a dwarf goat called Emily who was liberated from some poor peasants in Senegal. Of course my donation might not have liberated this particular goat. It could have been used for another goat, or another type of animal, or to pay the salaries of the people who are raising money on behalf of goat liberation. When we give money to any good cause we know that’s part of the deal. I realise that some people might see my donation as a self-indulgent action of an animal lover. You shouldn’t - I did it on behalf of my friends and family. When each of my sister’s daughters were born, her husband murdered a goat. He wasn’t unhappy with the goats - this is the standard way you celebrate birth in some parts of the world. My daughters and I discovered this some years later when we found the goat skins on the floor of my sister’s bedroom. It was a case of unfortunate timing: we had just finished reading Heidi as a bedtime story. And for those of my family and friends who never actually ate either of my niece’s goats I leave you with the thought that perhaps you ate another goat, or another type of animal even. I have donated the money for you. Season’s greetings! Last year I wrote about colony collapse disorder which is threatening our bee population. I pointed out that survival for organic bees looked more hopeful. Apparently the situation is worse this year (see link below) and yet this popular gardening magazine is running a campaign against the European Parliament initiative to restrict pesticides use. 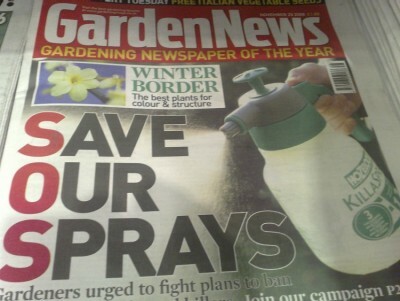 Don’t they realise that if they kill all the “pests”, and the bees and other insects along with them, there will be nothing left to pollinate the flowers in their gardens, the apple orchards, and many of our crops. I’m sure there are other factors at play here, but why not address the one that we can immediately do something about. 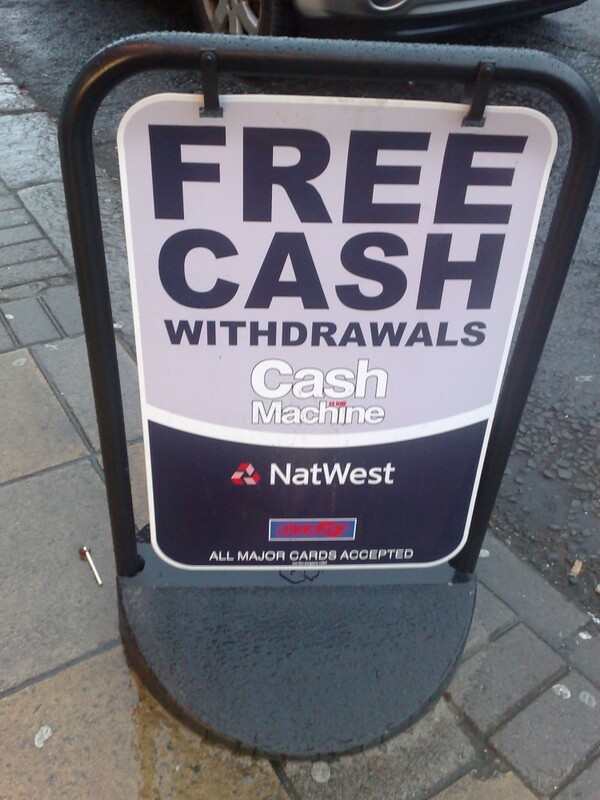 Unfortunately my eyesight is quite good and I could make out the word “withdrawals”, even from a distance. Still, it’s an interesting sign of the times, which I found outside the Chestsey post-office-convenience-store hybrid. 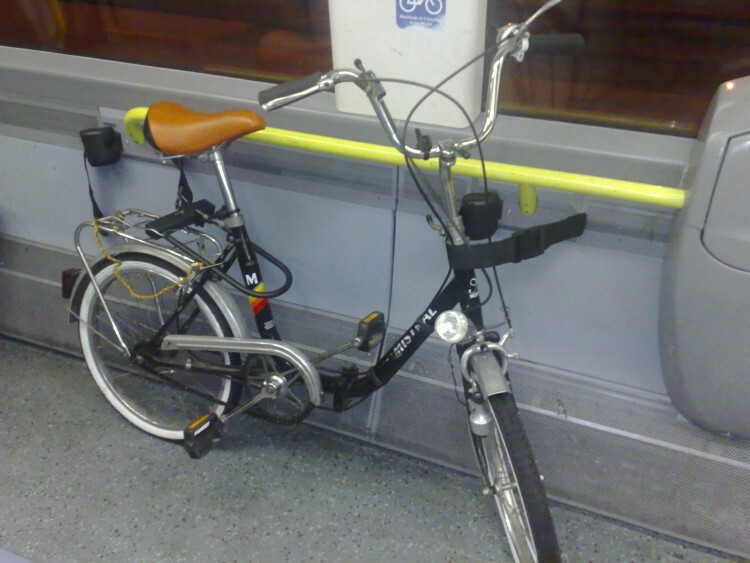 Another specialist commuter bicycle, on the train last week. I am pleased that most of the trains on my local (East Grinstead) line cater for bicycles, although I believe there are rush hour restrictions on bringing you bicycle on the train. There is a good synergy between these two forms of transport. It has flooded at this spot 3 times in the past month that I know of. What am I saying? The road (the A25) has flooded here for years at frequent intervals and rain doesn’t have to be particularly heavy to do so. So the other day the Surrey County Council sent a team out to fix the problem. As someone who believes in giving credit where credit is due, I am withholding praise. 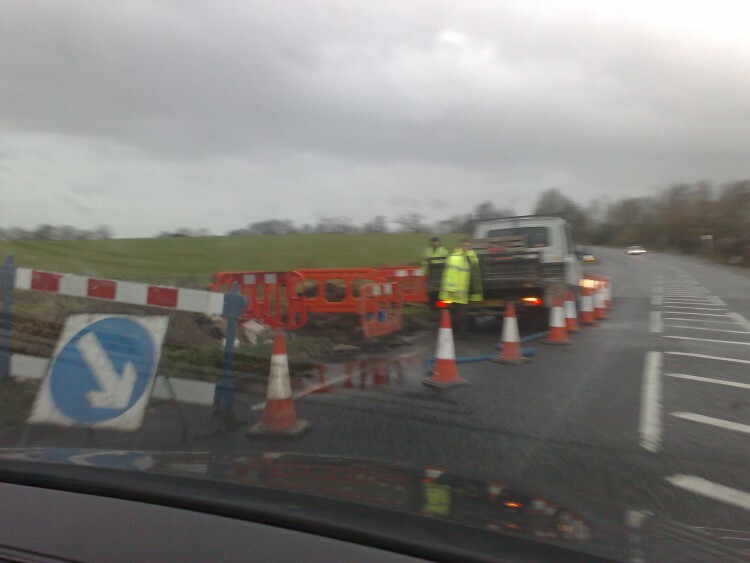 They have been out time and time again to ameliorate the flooding or to fix the road. If and when the problem gets resolved I will thank the Council. (Plus they are still at it). I’ve always sniggered at those slow police road signs that one notices when driving through rural areas. 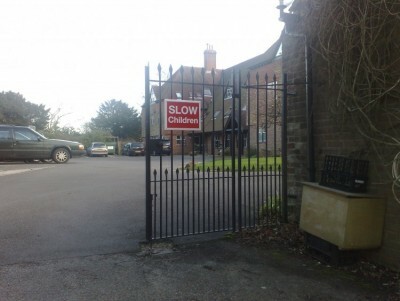 Yesterday my daughter pointed out this similarly themed sign in Sevenoaks.